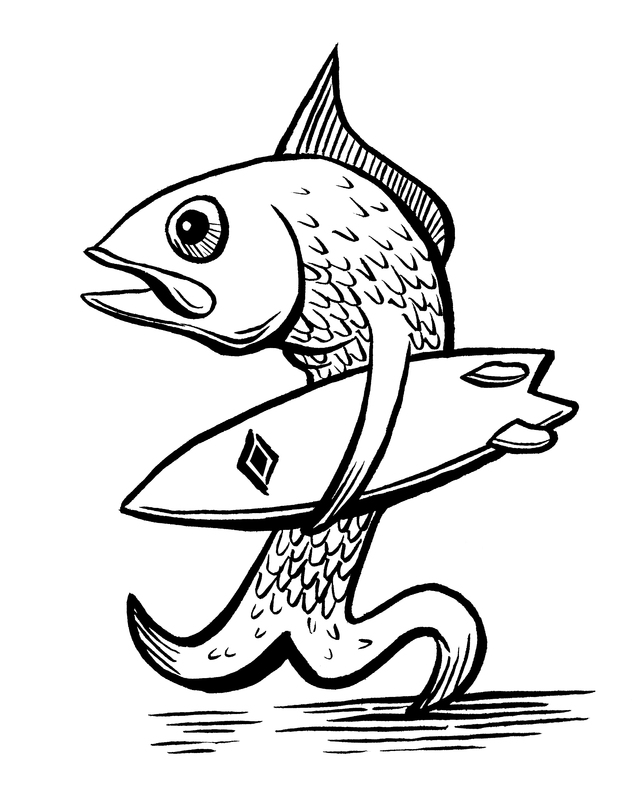 A fish walking with a retro fish surfboard. I inked this with the Zebra Fude Brush Pen that just came in the mail yesterday from Japan. I like this pen better than some of the other brush pens I have. Look for this one on a shirt soon at Chesapeake Island Outfitters.